This abstract work combines drawing, water-wash pastel, ink and watercolor with opaque latex paint overlay. The work is done on paper and is not varnished. 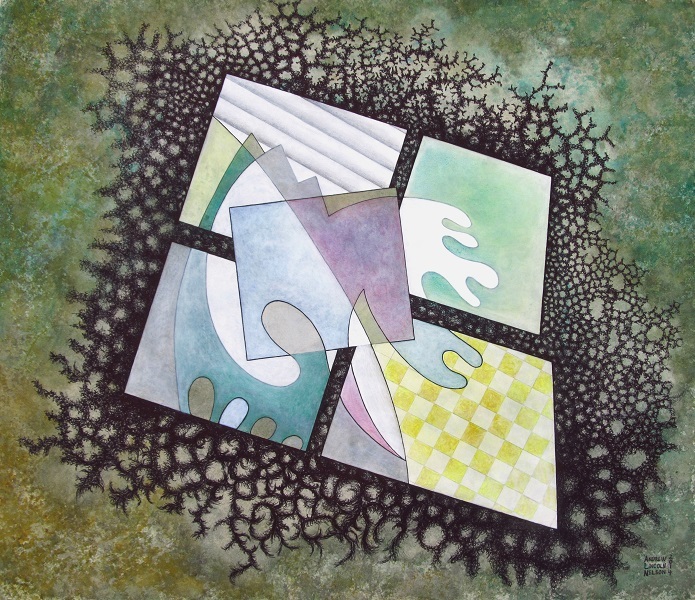 The picture explores issues of scale in organic patterns and interaction of shape at a more abstract level.